Haste! 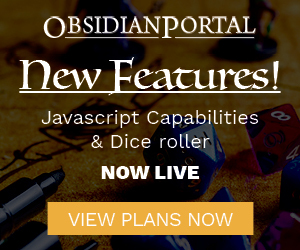 Learn Tabletop RPGs, MTG Movie, D&D’s Birthday, and More! Winter Fantasy is coming, Haste episode from the show this year, will be covering who is there and what is going on. LFR, PF Society, D&DNext, lots more. Haste! 2 Year Anniversary Show – RPG Bundles, Published Adventure Pitfalls, and More! We bring with heavy hearts the bad news that legendary author Jack Vance has passed away. If you’ve played D&D in some format or another you have been touched by his work, if you were unfamiliar with him we suggest reading more about his amazing life. Also the fine folks at d20Burlesque need some help getting to cons this year, if you’d like to see one of their shows at a con you’re going to or if you just appreciate half-naked nerds consider pitching in.